Prime Funk Zone corner lot of 10,200 square feet is available immediately. The building is 1,184 square feet, with plenty of parking, interior restroom and 2 roll up garage doors. Great freeway and street visibility and signage. 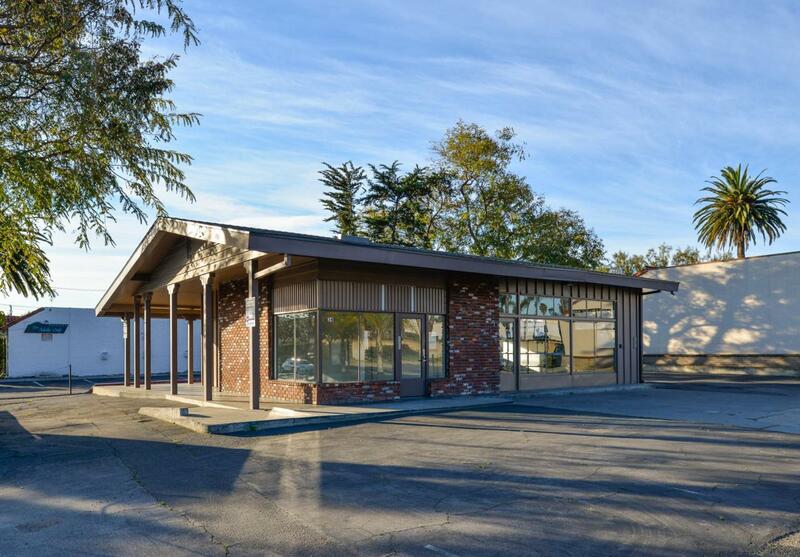 The ownership of the former Avis site has been working with an architectural firm to create a basic building concept for a food and or beverage establishment that can easily get approval and permitting for immediate renovation with the City of SB. There is also a 2nd concept with expansion ability as-of-right which we would be happy to discuss. The site is 10,200sf on the corner of Montecito Street & Anacapa Street in the Funk Zone.We are in the process of finalizing the plans with the architectural firm and will start the approval process with the city in the next 3-4 weeks. Mission Hill Management is planning on getting the plan approved over the next 4-6 months for a fairly basic restaurant, bar, tap room, wine tasting, etc. space that could be easily modified into a prospective tenants needs. Mission Hill Management is cooperating with Brokers and if you have a client that has interest in Downtown Santa Barbara or the Funk Zone we suggest you reaching out to see the site and our concept plans.